This charming small village is located on the west coast, approx. 35 km to the north of Carrapateira, famous surfing spot in Algarve. Odeceixe is a peaceful small town with a mill and small coloured houses aligned a staircase along picturesque streets. It’s a pleasure to stroll on the small place and in the main street. At the top of the village, you can admire the landscape, and enjoy the beautiful panorama on the Seixe river, which flows in the Atlantic Ocean. We cross forests of pines, eucalyptus and strawberry-trees to arrive at Monchique. This village perched in the mountain of Monchique which culminates at 902 meters of altitude, offers another Algarve, greener and authentic. 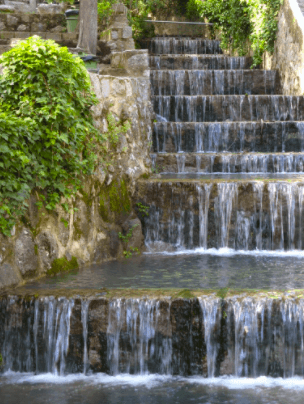 The spring water of the hills which flows through the city offers a refreshing halt. This water feeds the fountains of the village place then runs out towards Caldas de Monchique, where it will be bottled and sold in Algarve. The caldas of Monchiques are the only and single thermal baths of Portugal. They are located at 6km south of Monchique. At the hot season, Portuguese comes to enjoy the freshness and the benefits from its water. In the heights of the village, you can distinguish the silhouette from an old franciscan convent, ruined by the seism of 1755. And to discover the good local products (honey, cooked-meat and strawberry-trees brandy), go in one of the small shops of the village. 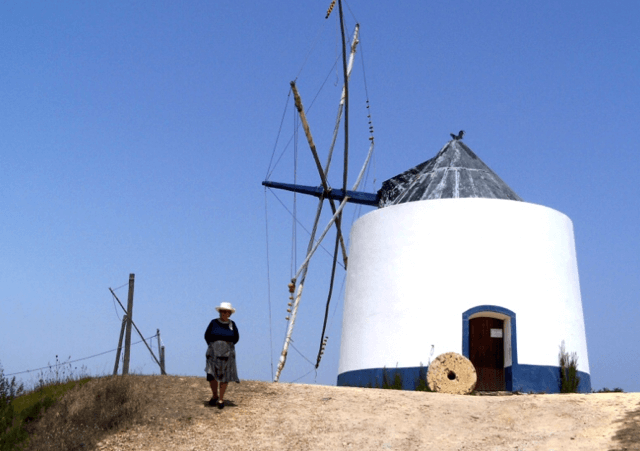 On the Algarve east coast is the tiny coastal village of Cacela Velha dating from the XVIe century. 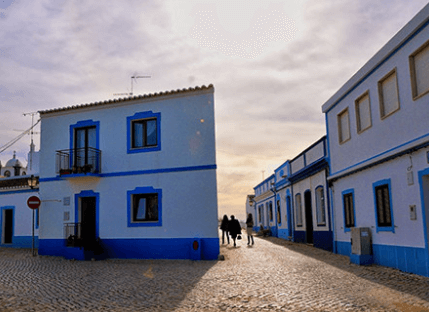 With its handle of traditional houses and its church surrounded by a terrace opened on the superb lagoon of Ria Formosa, it’s a beautiful town. At low tide, you will be able to walk over the lagoon to benefit from the very beautiful quiet beach and swim in the ocean. And to have something to eat, go to the restaurant or the tavern of the village.